Iran says it's reached a deal to buy passenger aircraft from U.S. plane maker Boeing. The announcement came Tuesday from Abbas Akhoundi, the Iranian minister of roads and urban development. He said details on the agreement would be announced in the next few days, according to reports by Iranian news agencies. If it goes through, the deal would be the first major contract between a U.S. company and Iran since nuclear-related sanctions on the country were lifted earlier this year. It would also help Iran modernize an aircraft fleet that is among the oldest and most dangerous in the world. After years of sanctions, the country is now in desperate need of hundreds of new aircraft. Akhoundi described the Boeing (BA) deal as a potential "new milestone" in the country's efforts to rejoin global aviation networks. Boeing isn't the only manufacturer hoping to capitalize on the bonanza of new Iranian aircraft orders. 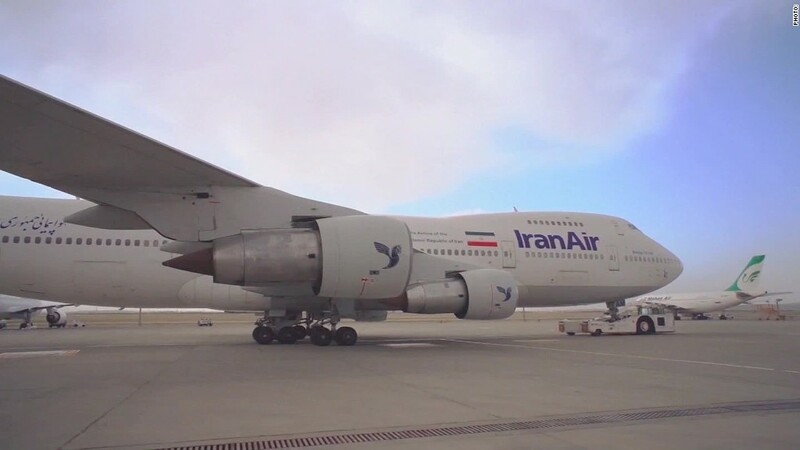 The country's flag carrier, Iran Air, has already announced a huge deal for 118 aircraft from its rival Airbus (EADSF). Boeing said Tuesday that it has been in discussions with Iranian airlines about "potential purchases of Boeing commercial passenger airplanes and services" but declined to provide details of "ongoing conversations." "Our standard practice is to let customers announce any agreements that are reached," the plane maker said. It cautioned that any deals would be "contingent on U.S. government approval." In addition to formal government approval, the deal faces other potential stumbling blocks related to U.S. sanctions that remain in place following the nuclear deal stuck by Tehran and Washington in January. That accord eased financial and oil-related sanctions, and allowed for the case-by-case sale of commercial passenger aircraft and parts to Iran. But the primary U.S. trade embargo targeting Iran remains in place. It prohibits U.S. citizens from investing directly in Iran, and denies Iranian banks the ability to clear U.S. dollars through New York or do business with American financial institutions. Sanctions covering military technology, terrorism and human rights all remain in force. Together, they effect a wide range of industries, including aviation. For example, Tehran-based Mahan Air remains on the U.S. sanctions list. The U.S. Treasury has accused the airline of providing support to Iran's Quds Force, an elite division of the country's Revolutionary Guards. In March, the U.S. Treasury sanctioned individuals who had attempted to conduct business with Mahan Air. It also accused the airline of transporting Iranian military forces into Syria. -- Jethro Mullen and Charles Riley contributed reporting.